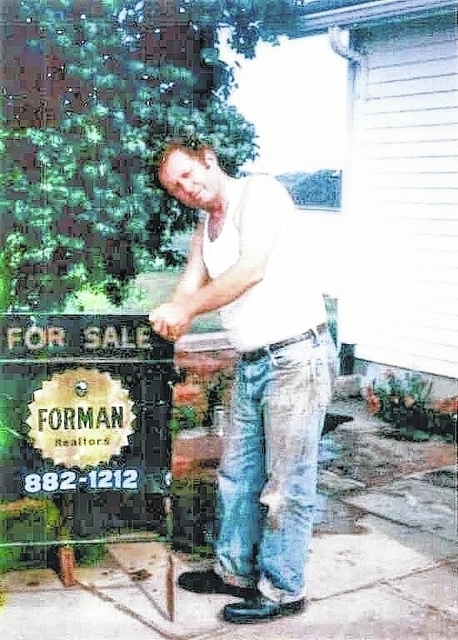 n 1966, Ted L. Forman put a For Sale sign in the ground and Forman Realtors was born. A Sunbury native, Ted Forman was born a twin in a small house in the village and was raised in Sunbury in part by his uncle Frank Stelzer due to family losses, including the eventual loss of his single mother. His granddaughter Kelly Forman, in a recent press release, said Ted was grateful for the way the Sunbury community invested in him as a child and young man, and he dedicated his life to giving back to the community. Pictured standing left to right are Roland Higgins, Mike Forman, Linda Wehrle, Kelly Forman, Jennifer Fielding, Steve Barbeau, Don Poland. Kneeling in front are Michael Pankuch and Martin Forman on the right. “Ted married Betty (Jones) Forman, and they raised four children, educating them in the Big Walnut school system,” Kelly said. “He was an entrepreneur and started Forman Realtors with the intent to buy, sell, build, and develop both residential and commercial properties. Kelly said Ted was also instrumental in founding the Delaware County Board of Realtors and served on the Big Walnut Local School District Board of Education. He was an active member of the Sunbury Lions Club all his life and built the Lions Building at JR Smith Park. Kelly said Ted Forman’s development efforts created many jobs in Sunbury. He brought in companies like American Showa, BryAir, Inland Finishing, and Kintner Industries. He built part of the Nestle’s Warehouse and the current Big Walnut Intermediate School. Ted also built hundreds of custom homes and planned or developed areas like Barleycorn, Greenbrier Road, Cupstone Drive, Foxboro, and the Kintner Parkways. He also developed Walnutview Drive, where he eventually retired. Mike Forman, Ted’s oldest son, joined Forman Realtors as a young man and worked alongside his father all of his life. Mike is currently the managing broker and is joined by his children, Martin Forman and Kelly Forman, who are also both realtors. The Forman Realtors team today also includes Steve Barbeau, Jennifer Fielding, Mike Pankuch, Linda Wehrle, Roland Higgins, and Don Poland.